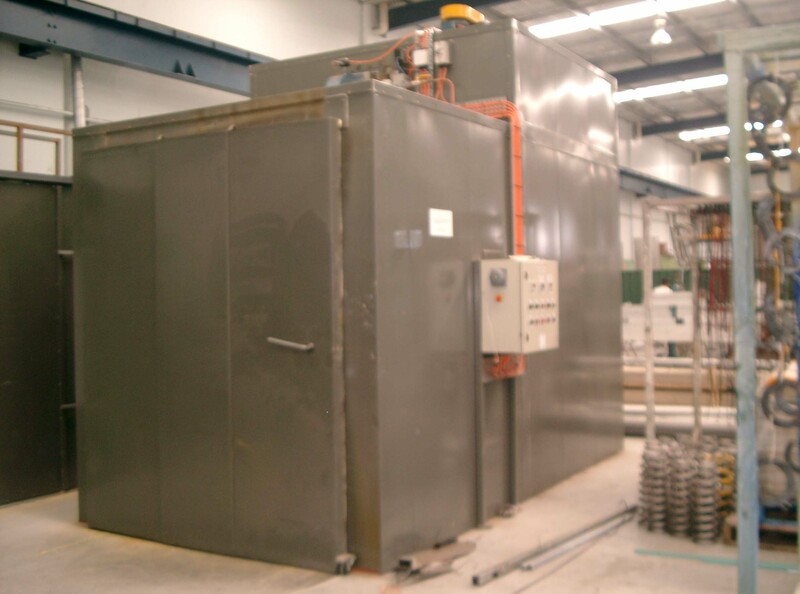 Wellman FS are manufactures of Australian Batch ovens that are specially designed for powder and paint baking, drying, preheating, annealing or any heat processing of large or numerous parts. All ovens are designed to operate in standard temperature range (50-250 degrees celcius). Ovens to operate outside this range can be supplied on special request. Electric Models designed to conform to statutory requirements. Standard 415volt 3-phase AC supply. Completely wired, side access control panel assembled on oven and enclosing:- indicating temperature controller, pilot lights indicating energising of blower and heaters, motor starter and heating element contactors – these electrically interlocked to shut off heaters if power to blower is interrupted, and also to permit blower operation without heat for cooling purposes, high low heat switch providing temperature uniformity over entire range. 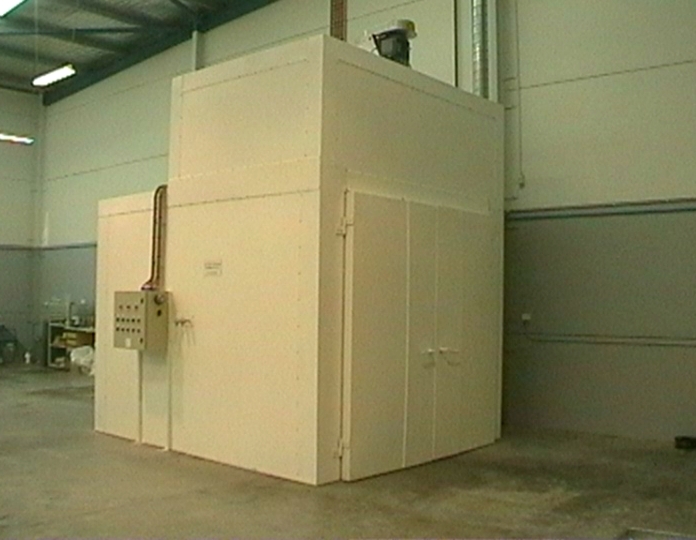 Gas Models designed to conform to statutory requirements. Control panel as in electric models, gas burner complete with flame failure and safety purge timing.